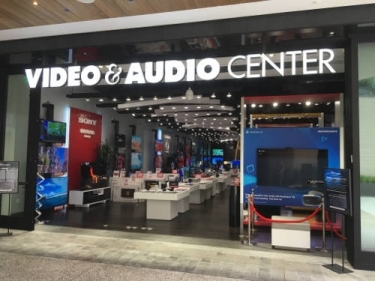 CE Pro 100 integrator Just One Touch / Video & Audio Center earns 45% of total revenues from custom installation by incorporating home automation into every part of the retailer's new high-end L.A. mall location. 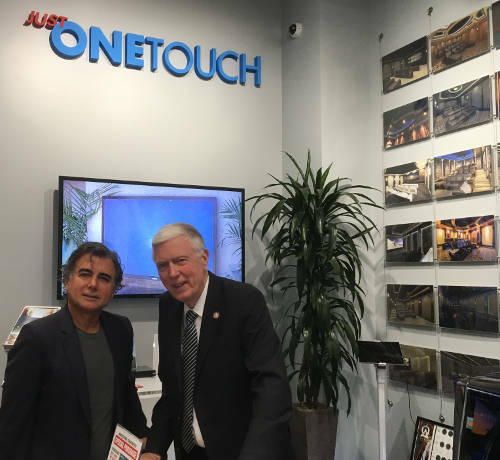 Just One Touch - Video & Audio Center's new Westfield Century City storefront focuses on custom installation options for customers. WATCH THE VIDEO HERE; VIEW SLIDESHOW BELOW. Los Angeles-area integrator Just One Touch - Video & Audio Center might have built the magic formula for incorporating custom installation services into a retail location. The Santa Monica, Calif.-based company, which has multiple retail locations across Southern California, has just opened its new “technology showcase” location in the upscale Westfield Century City mall adjacent to Beverly Hills and other affluent areas. The Video & Audio Center location has the fingerprints of the company’s custom installation division (Just One Touch) in multiple ways. The cornerstones of the space are three store-within-a-store set-ups featuring the tree top TV brands -- LG, Sony and Samsung. “These are high-touch areas and we have knowledgeable salespeople who can help,” says owner Joseph Akhtarzad. For each TV brand there is a dedicated vignette with an array of their impressive displays, but the most striking area is a giant LG Electronics “display tree” that stretches high to the ceiling. “I wanted to use the vertical space of the store,” says Akhtarzad, who personally designed the giant circular LG display tree, as well as the layout of the location. Akhtarzad also incorporates a subtle but effective display technique into each flat panel area. Sony, LG and Samsung TV boxes sit openly in the store in each vignette, right at the feet of the wall-mounted TVs. At first blush, it seems contrary to see shipping boxes sitting out on a retail floor. “We discovered that displaying boxed units openly in the store subconsciously lets customers know that the TVs are available for immediate installation," says Akhtarzad. "It shows them that we are ready to bring it to their home and install it without having to retrieve anything from a remote warehouse somewhere." There is one vignette solely dedicated to the company’s custom installation division, Just One Touch. The area includes multiple images of finished projects, including lavish home theaters, multipurpose rooms, outdoor areas and more. The Just One Touch space is also situated adjacent to the company’s new appliance area, featuring Samsung and LG. “The reason we got into appliances is because they are very smart today. They need to be integrated with every Just One Touch home,” says Akhtarzad. Video & Audio Center has developed a special membership program aimed at enabling custom installation more easily. “We have created a platinum black card membership program that enables customers holding a membership card to waive the $150 fee for a home site survey,” says Akhtarzad. Members also receive same-day delivery and set-up service, special invitations to Video & Audio Center’s private technology showcase events, and special product pricing in some cases. Not only does Video & Audio Center showcase well-known mass-market brands like Ring, AudioQuest, Google Home and Nest, but the company made an extra effort to show off many of the niche custom installation brands it carries. Visitors can find specialty brands like SunBriteTV outdoor televisions, Origin Acoustics speakers and audio systems, Screen Innovations video projection screens, IC Realtime surveillance systems, and BDI furniture. "We have become a technology destination point." He adds that shoppers are "just mesmerized" by the technology and they "want it now." The retailer has Just One Touch representatives at each location, "so customers can talk to someone who really knows integration, installation and custom design," Campbell says. The custom installation formula appears to be working well for the company, which is No. 6 on the CE Pro 100 list of highest-revenue home-technology integrators. In 2017, $43.3 million of its total $96.3 million in revenue was attributed to custom installation. Congrats Joseph and Tom. Great job as always. I will have to check it out next time I am down there.